Ships today if you order in the next 11 hours 8 minutes. Auto Ship & Earn + 182 Points What's this? Spoil yourself with something chocolaty and delicious without spoiling your health or your detox program. 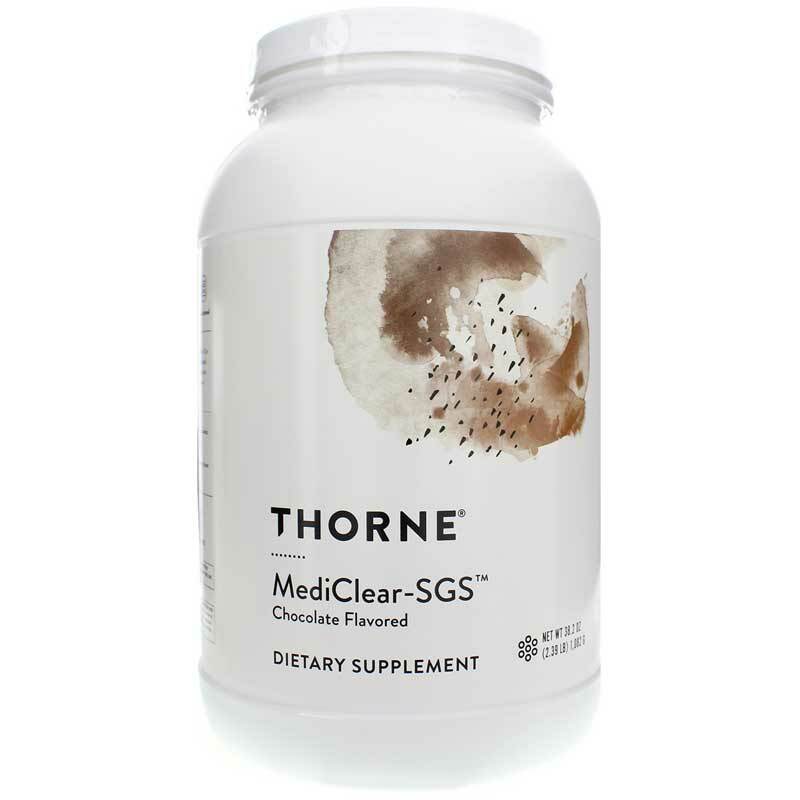 Get enhanced nutrition with Mediclear-SGS - Chocolate by Thorne Research. With key nutrients and botanicals, Mediclear-SGS is a natural detox cleanse supplement powder with sulforaphane glucosinolate for added antioxidant and phase II liver support. SGS is a natural substance found in the seeds and sprouts of broccoli that may enhance the action of enzymes involved in phase II detoxification. During phase II, toxins are attached to water-soluble substances to allow for easier transfer out of the body. In addition, SGS is an indirect antioxidant that continues working in the body far longer than direct antioxidants found in many supplements. For ultimate support, Mediclear-SGS has 30 mg of SGS. That's equivalent to eating over a pound of broccoli. Mediclear-SGS in chocolate is made with natural flavors and is free of artificial colors, sweeteners, or flavors for a product that delivers nothing but pure nutrition. Mix up this chocolaty drink, and sip your way to optimal health. Order today! Other Ingredients: Cocoa, Flavors, Evaporated Cane Juice Sugar, Glucose, Stevia extract (leaf) (Rebaudioside A 95%), Silicon Dioxide, Monk Fruit concentrate (fruit) (Siraitia grosvenorii). Contains ingredients derived from soy (Curcumin Phytosome, Grape Seed Phytosome, and Green Tea Phytosome). 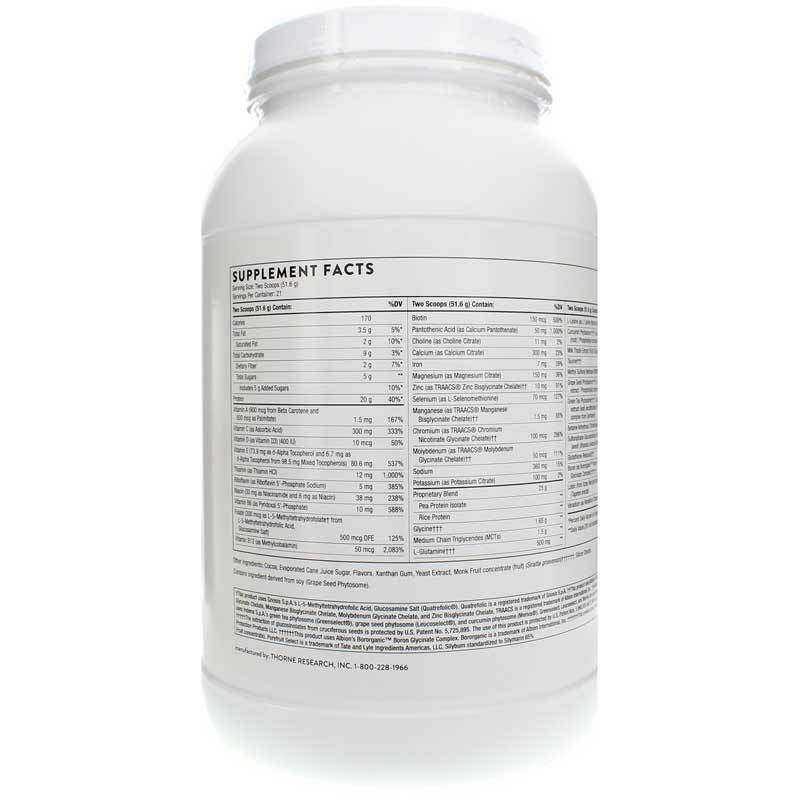 Adults and children 12 or more years of age: Mix 2 scoops with 10 oz. of water, vegetable or fruit juice, rice milk, or nut milk or as recommended by your healthcare practitioner. This product is not a medical food. It is intended to be utilized in conjunction with a complete dietary program. Do not use in diets supplying less than 600 calories per day without complete medical supervision. 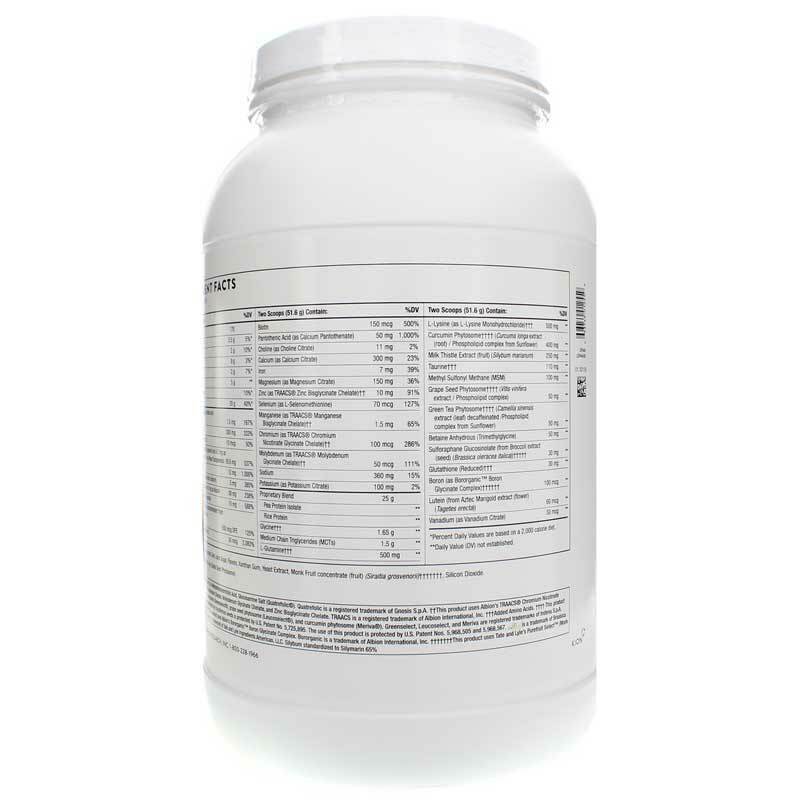 This product is intended to be utilized in conjunction with a complete dietary program. Do not use in diets supplying less than 600 calories per day without complete medical supervision. Do NOT use if you are pregnant or nursing. Keep out of the reach of children. I really like Mediclear-SGS Chocolate Flavor protein powder, tastes really good and is filling. I typically make with water but guessing it would be even better with almond milk or other. Quick shipment too! I love this stuff! When I want something sweet, a couple of scoops of this blended with ice and water is just delicious and refreshing! Find it wonderful when mixed into a fruit smoothie. It took me a few tries to get the desired consistancy I wanted. Very satisfying. 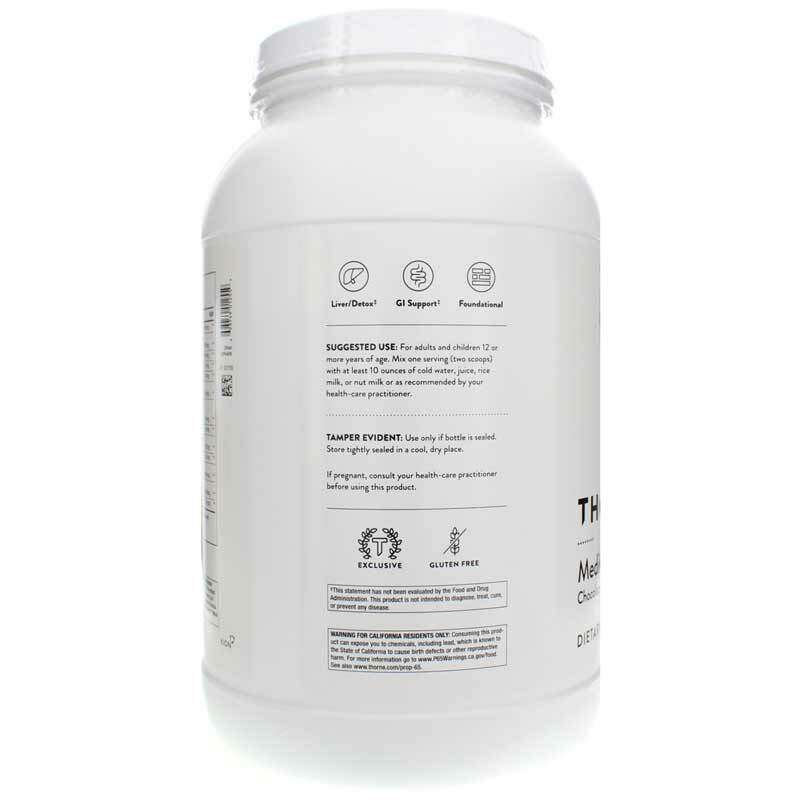 this product is great really loved it. I have used Mediclear Plus for many years and adored it, imagine my excitement when Thorne released chocolate flavor! So delicious, especially blended with raspberries. I was so excited to see Natural Healthy Concepts carries Thorne Research products. They are exceptional!! I used Mediclear - SGS in combination with the Thorne Research 30 Day Detox Pill Packets and Fibermend for a 2 week detox cleans. I felt AMAZING afterwards. Check with your Dr. before starting any detox program first! It took me a week or two to get up to the suggested amount of 2 scoops per day. Now I mix a scoop with a cup of milk or milk substitute either before or after breakfast, using my Nutri Ninja bullet. Later, I make another shake with the second scoop either as a snack or dessert. Additional additives I like and use are nuts or nut butters and a banana or other fruit. My N.D. prescribed Mediclear to help improve my nutrition, and I notice a difference after just one bottle.